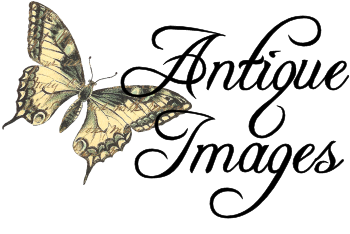 These are two beautiful digital images of vintage botanical artwork illustrations. The first botanical clip art is of a flower basket. 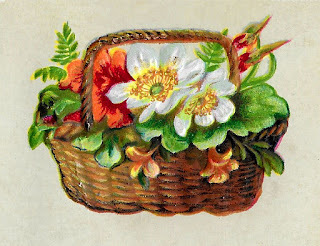 Pretty wild roses overflow from the wicker basket. The second digital botanical image is of a fruit basket. 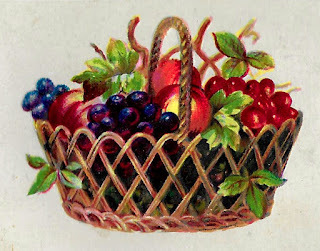 Grapes, peaches, and cherries and lots of leaves burst over the top the this pretty wicker basket. The fruit looks delicious! Either of these vintage fruit and flower illustrations would be lovely in lots of crafting projects.